Once upon a time, I had a kick-a$$ vegetable garden. It was purely beginner’s luck… we’d just bought our house, had a smidgen of property for the first time, and jumped wholeheartedly into gardening. The next year, our compost attracted wildlife, who ate our garden. The year after that, we tried container gardening on the deck, which was underwhelming. I almost think that first year’s garden is a legend, if not that I can practically still taste the juicy grape tomatoes, see the cucumbers so bountiful that we were giving them away, and remember how full my freezer had become with all the shredded zucchini. 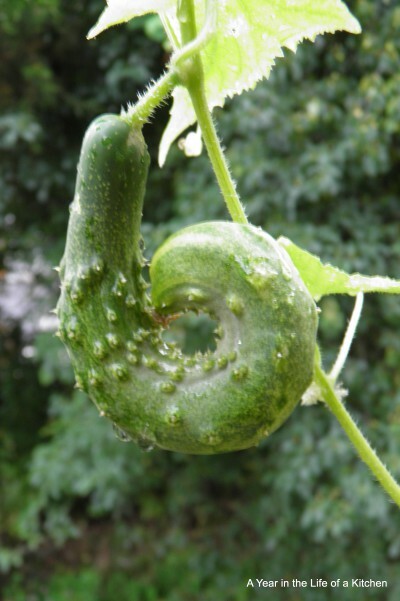 Ah, zucchini. Whether you have it growing in your garden or stock up when it’s on sale, we’re entering the time of year when zucchini just begs you to cook with it. Gluten-free or not, these are some of our family’s favorite recipes, and will not disappoint. I don’t recall eating zucchini bread until I had the vegetable growing out of our ears that first summer. Once extra accumulates, I shred it and fill quart-sized Ziploc freezer bags with 2 cup portions. It lasts us through the winter, so that I can add zucchini to chili, make bread, or whatever else we desire. 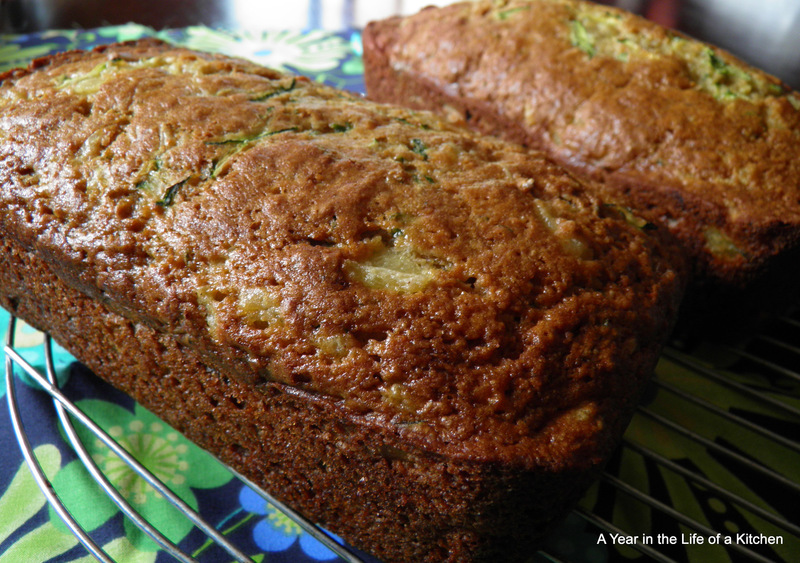 This is how I happily bake zucchini bread all year long. One of my favorite bloggers, Nicole Hunn of Gluten-Free on a Shoestring, recently revamped and shared her recipe here. It’s actually on my to-do list for tomorrow, but I can confidently recommend it without trying it, as you can trust her recipes to be amazing. Yep, you read that right. And they’re as glorious as they sound. I didn’t come up with the idea, but I’ll happily promote it. This recipe freezes well, so I always make a double batch and freeze the extra pancakes for another day. If you’re gluten-free, follow the steps here. If not, you can hit up the original recipe for details. Either way, enjoy! This awesome recipe is one we’ve been making for years. Each time we do, I wonder why we don’t make it more often. It’s quick, a kid-pleaser (the zucchini melts right in), and so delicious. Zucchini recipes don’t end here, so share your family’s favorites below. To find out what’s new in our kitchen, stop by, or become a fan on Facebook. Peruse past blogs and keep current with new blogs at Stephanie.hvparent.com.